Sylvia Vardell and Janet Wong are force for good in the world of poetry for children. First they brought us the Poetry Friday Anthologies, then the Poetry Friday Power Books, and now GREAT MORNING. Thanks to former US Poet Laureate Billy Collins, high schools have had Poetry 180 for years now. The time was right for poetry to come to the announcements in elementary schools. 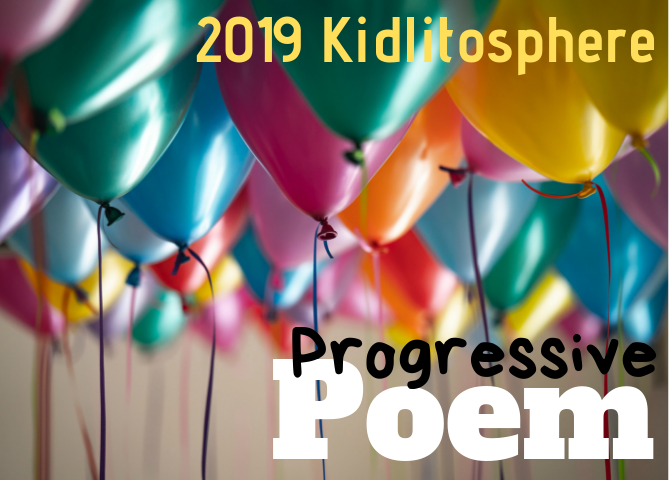 Vardell and Wong gathered 50+ poets for a total of 75 poems, one poem and topic for each of the 36 weeks of the school year, and connected poems for each of the weeks. GREAT MORNING! -- Not just good...GREAT! And what will make it great? POETRY!! 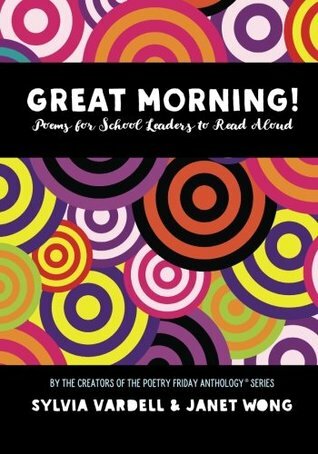 Poems for School Leaders -- Another part of the GREAT in this book is the inclusion of school leaders in this literacy ritual. These school leaders are probably adult administrators, and probably usually men. How great would it be to have these men reading and enjoying poetry as a role model for the whole school?!? Of course, these school leaders might also be the safety and service team students who perform the video announcements ever day. The poems in this book are accessible for these young school leaders to read with expression and energy. to Read Aloud -- How about it, School Leaders (especially administrators)? Here's an opportunity to read aloud to the entire student body at least once a week! It's a short text! It's fun! You know you want to up your game to from School Leader to Literacy Leader. This book will help you to achieve that goal. 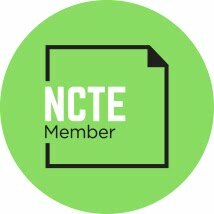 If you are a teacher or a literacy coach, this would make a most awesome beginning of the year gift for your favorite School Leader. I can't wait to see the look on the face of mine when I present him with a copy of this book! I'm with you, Mary Lee. Sylvia and Janet are brilliant. *Of course* we should include school leaders in the poetry conversation. Thanks for this review, Mary Lee! You've described our goals exactly: while these poems are for administrators (primarily) to read aloud during morning announcements, they are also for student leaders, guest readers from the community, members of school staff, etc. I think it would be fabulous if the school custodian read my poem "Clean Up" or "Recycling" by Susan Blackaby--and if the school secretary read the Janet Clare Fagal's "School Forms" over morning announcements, too! !